A Brexit minister has admitted MPs will be asked to authorise paying up to ?39bn to the EU without the guarantee of a future trade deal. 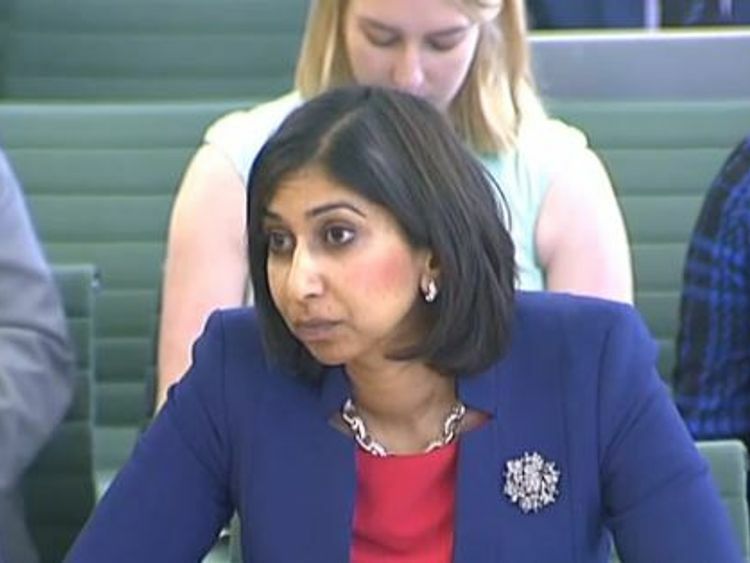 Suella Braverman, a junior minister at the Department for Exiting the EU (DExEU), confessed the UK's so-called divorce bill will be confirmed before there is any legal agreement on the future EU-UK relationship. There is currently no "conditionality" on the payment of the €39bn bill being linked to a trade deal within the UK's draft withdrawal agreement, she added.Yet, Mrs Braverman stressed there is "a duty of good faith" agreed between Britain and Brussels within Brexit negotiations.Earlier this month, Brexit Secretary David Davis spoke of "conditionalities" in the UK's withdrawal agreement in relation to a future trade deal.However, appearing before the House of Commons Exiting the EU committee on Wednesday, Mrs Braverman told MPs the nearly-complete withdrawal deal "doesn't contain aspects" of conditionality. She made the admission to Labour's Pat McFadden, who grilled the minister on whether MPs will be agreeing to the UK's Brexit divorce bill later this year before there is a legal agreement on the future UK-EU relationship.Asked for a third time, Mrs Braverman admitted that would be the case.She had told MPs: "Technically, the legal text of the future framework will not be before Parliament in October when we have this meaningful vote. "Last December, the EU and UK agreed a draft deal on key divorce issues, including Britain's financial settlement.The government aims for parliament to vote on this in October this year, along with a "political declaration" on the terms of a future trade deal, which are still yet to be negotiated.The EU cannot formally sign its future relationship with the UK until Britain is a "third country" in March 2019.Asked by Mr McFadden whether it is the government's "intention and policy" to insert "conditionality" on paying the divorce bill into the withdrawal agreement, Mrs Braverman replied: "The withdrawal agreement text has been nearly finalised and agreed. That contains issues relating to the financial settlement. "As drafted it doesn't contain aspects that you talk about on conditionality. However, we must remember that nothing is agreed until everything is agreed. "So that principle, stated in the joint report, does apply to this whole package of our departure. "She added: "In the withdrawal agreement, there is agreed a duty of good faith and that is an important aspect of the withdrawal agreement that obliges both parties to cooperate in a way which means we are working constructively towards a future framework that is mutually beneficial and meets our objectives." Commenting after the committee hearing, Mr McFadden, a supporter of the pro-EU Open Britain campaign, said: "So much for taking back control. "The Tories have agreed to pay tens of billions for a worse deal than we have now and without having any guarantees about what we will get for it in return. 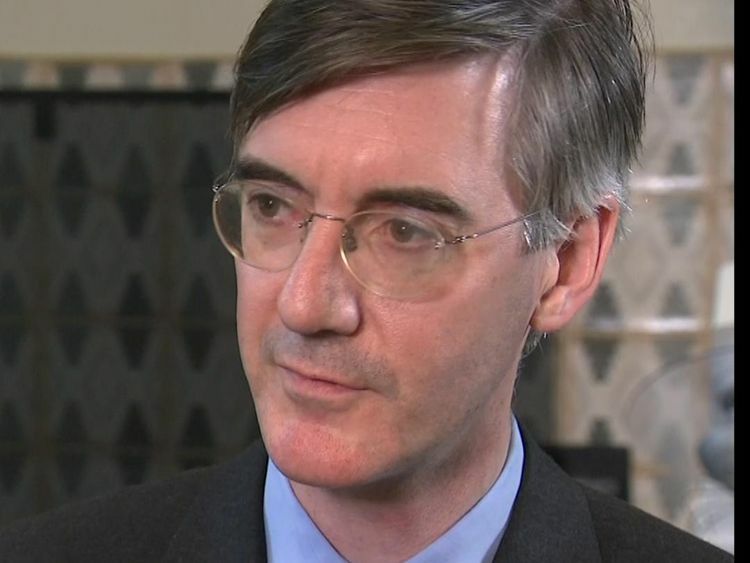 "Earlier this week, Tory MP Jacob Rees-Mogg, the chair of an influential group of Brexiteer backbenchers, called on the government to show "some backbone" in Brexit negotiations.He told the prime minister to "make it absolutely clear that the money is in return for a trade deal and that if we don't get a trade deal - and if we don't have it ready to sign immediately after the 29 March - then the EU will not get any money from us".After Mrs Braverman's admission, it was revealed the chief executive of HMRC had written to the same committee to warn elements of a proposed plan to replace the EU customs union after Brexit could take three years to put in place - beyond the transition period.The plan, also known as "max fac", is one of two options under consideration by the Cabinet and a model favoured by Brexiteers. DExEU presented its plans on Wednesday for a future science, research and innovation partnership between the UK and EU, which included a promise to "respect the remit" of the European Court of Justice (ECJ) when the UK participates in EU programmes.In her Lancaster House speech in January last year, the prime minister set out her Brexit red lines, including the ambition to "bring an end to the jurisdiction of the ECJ in Britain".